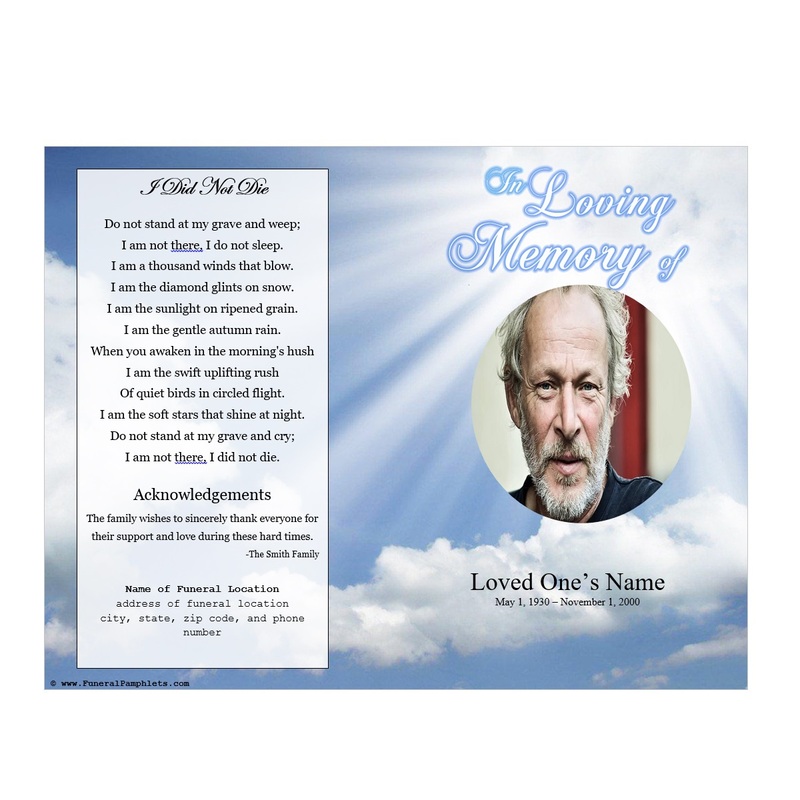 Grieving the loss of a loved one is always painful, but when you can envision the person that you have lost looking down at you, it is easier to come to peace with the loss. 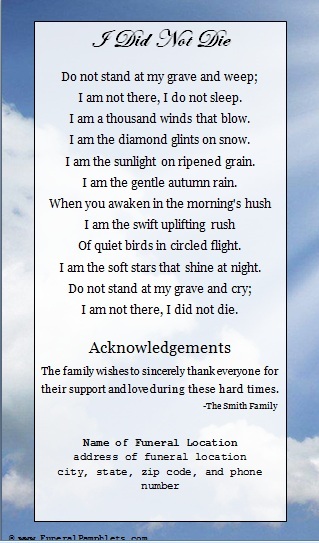 That’s why the Sky Single Fold Memorial Program is one of our most popular funeral program template Word downloads. 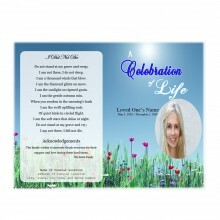 With its beautiful imagery, this funeral template Word downloadable file reminds attendees of the memorial service that your departed love one has gone to a better place and is watching over you all. 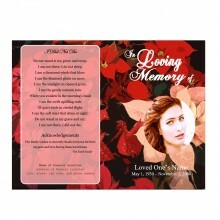 The cover of the Sky Single Fold Memorial Program features your loved one’s face placed inside of a white halo of light. 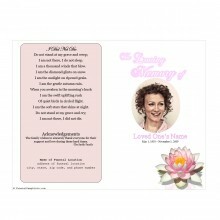 Above, the sun’s rays beat down, casting a heavenly glow over the cover. Fluffy white clouds float by at the bottom of the cover in the area where your loved one’s name, date of birth and date of death will be displayed. 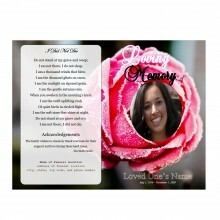 Inside, there is an obituary template and an order of service listing provided for customization. 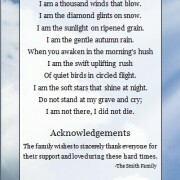 Once you purchase the Sky Single Fold Memorial Program, you’ll have immediate access to the funeral templates Word file. If you don’t have Microsoft Word, you can use the free trial link to get a copy and begin using it right away. 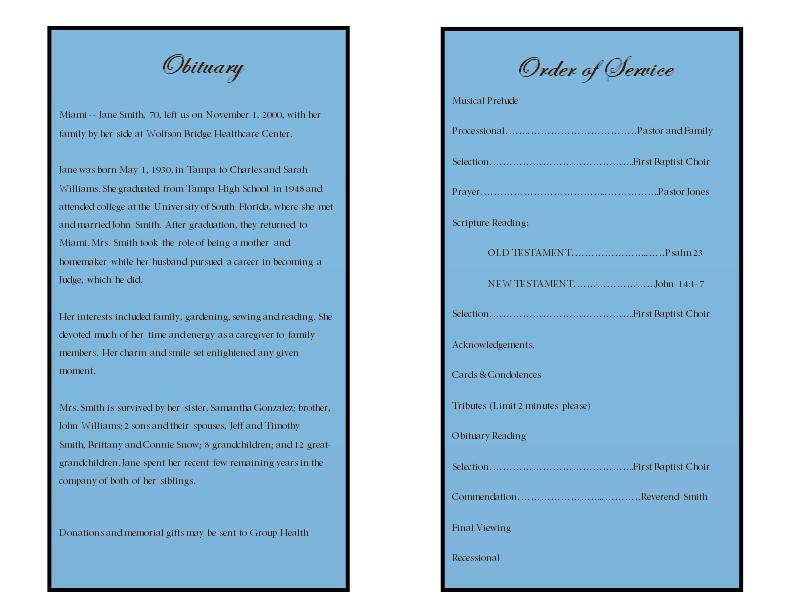 Making changes to the order of service and obituary Word boxes is easy, and you can choose to use our funeral program wording or replace it with your own text. 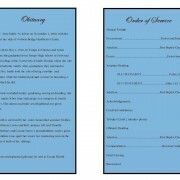 We can even complete the customization for you for a small additional charge.